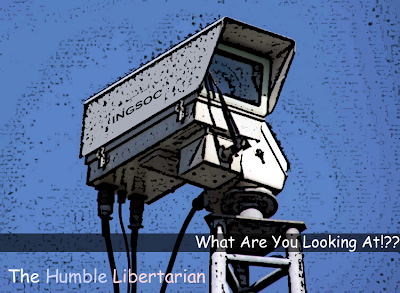 The Militarized Police State, the Surveillance State and the "We're Watching You State" is proceeding with alarming speed. We are all terrorists now. Infowars has obtained a document from the New Jersey Office of Homeland Security & Preparedness that lists banal bodily activities such as yawning, staring and goose pumps as “suspicious activity” indicative of terrorism. The document (PDF), entitled Terrorism Awareness and Prevention, is presented as a guide for both “residents and workers of New Jersey,” along with employees of federal, state and local agencies, on how to “assist in combating terrorism” by identifying “unusual or suspicious activities and behaviors.” The document then lists examples of suspicious behavior indicative of terrorism, which include, “Exaggerated yawning when engaged in conversation,” “glances,” “cold penetrating stare,” “rigid posture,” and “goose bumps”. Of course, any of these behaviors could be explained by a million other circumstances and the likelihood that they are indications of terrorist activity is virtually zero....In a flyer handed out to Internet Cafes, workers are encouraged to report people who use cash to pay for their coffee as potential terrorists. Expressing an interesting in protecting online privacy when surfing the web in public is also characterized as a suspicious activity. In a flyer issued to Military Surplus stores, the purchase of storable food supplies in bulk, an increasingly popular trend amongst “preppers,” is also defined as a potential indication of terrorism.